Click the Buzz Me button to receive email notifications when Abby Cohan appears in an article. Buzz summer interns (from left) Kelly Thomas, Abby Cohan, Benjamin Cohen, Nathan Lederman, Ryan Chang, Julia Boyles and Eli Maierson enjoy their final few days left at The Buzz Magazines. Buzz summer interns (from left) Ryan Chang, Eli Maierson, Abby Cohan, Nathan Lederman and Benjamin Cohen brainstorm together over lunch at Island Grill. Gavin Roth and Abby Cohan find each other for a quick photo after the graduation ceremony. (Top row, from left) Gabby Foox, Nicki Miller, Netanya Ronn; (bottom row, from left) Eve Baliff and Abby Cohan cherish their last official day at The Emery/Weiner School before heading off to Poland and Israel for their senior class trip. Buzz interns Abby Cohan and Kelly Thomas ventured to The Museum of Fine Arts to explore the bamboo forest. Ely German, Netanya Ronn, Abby Cohan, Nicki Miller and Ahava Guefen enjoy the beautiful view during the Segway tour. Abby Cohan and Brynne Jacobs at the top of Masada. Nicki Miller and Abby Cohan shop at a market in Tel Aviv. 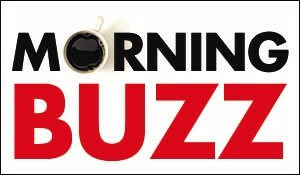 Abby Cohan and Nathan Lederman interned with The Buzz for the week and are looking forward to interning at The Buzz again over the summer. Buzz interns Nathan Lederman and Abby Cohan, both seniors at The Emery/Weiner School, pose in front of the Message in a Bottle Collection at Houston Museum of Natural Science. Eve Baliff, Abby Cohan, Nicki Miller and Ely German at freshman year homecoming. (From left) Rachel Abreu, Abby Cohan and Anna Epstein from Emery/Weiner High School say summer fashion revolves around Birkenstocks and Chacos.